← Registration is open for August in Blogging U. It took me a long time and many tumbles before I mastered the art of riding my bicycle. Once I got the hang of it I really enjoyed cycling round the local streets in Woodingdean and going further afield with my friend over the South Downs. Back in the 1960s we had a lot more freedom than children seem to have today, and we would disappear for hours on end. The long school summer holidays flew by, with the lovely weather and being with friends. Here I am learning to ride the bike. It would seem my Uncle Jack wasn’t the only one in the family with a sense of style. Look at me in my smart blazer with the shiny buttons! Just the thing to wear for a cycle ride. I remember the blazer being a very nice red colour. The blazer looks like it fits, which is more than it did in a previous photograph. 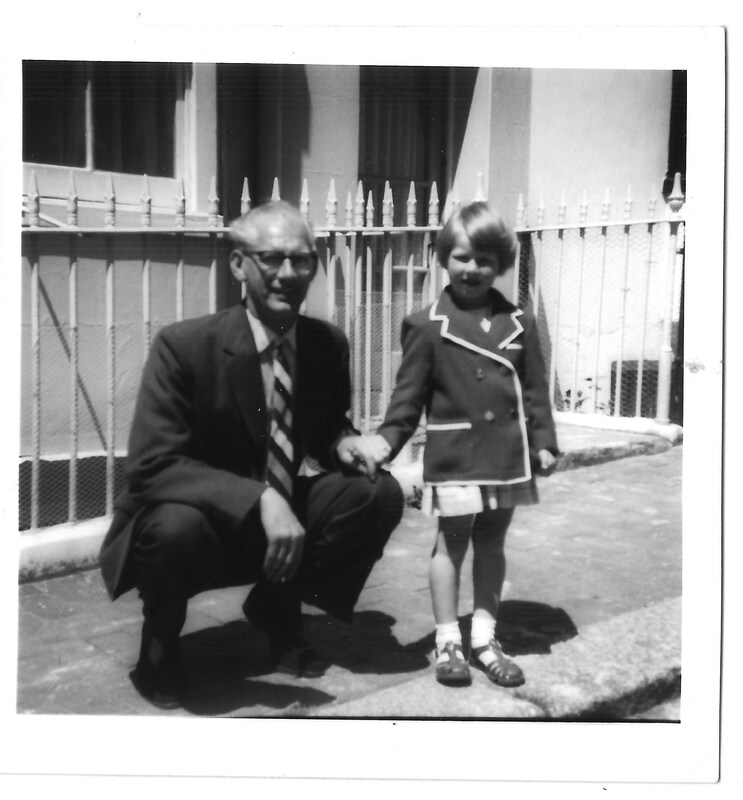 This photo was taken outside our first home, Lower Market Street in Hove. I was about five years old when we moved out and went to the outskirts of Brighton and to Woodingdean. 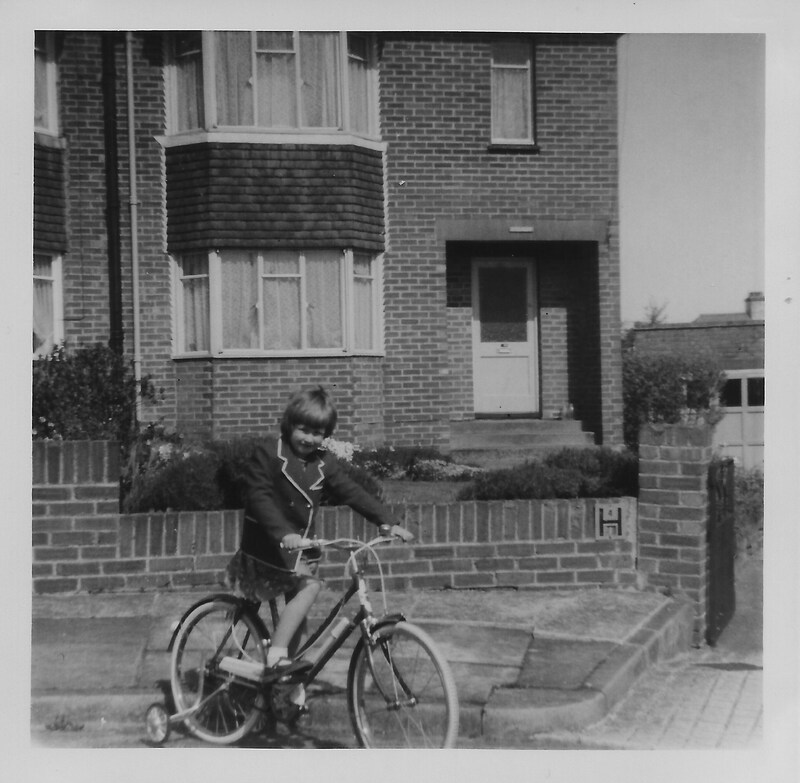 I couldn’t have ridden a bicycle where we lived in Hove, it was too built up, but it would seem I got the bike almost as soon as we moved! This entry was posted in Gordon Charles Dinnis, jackiedinnis and tagged bicycle, blazer, Hove, Lower Market Street, Woodingdean. Bookmark the permalink.